Deep Creek Lake is an ideal location for a variety of outdoor activities year round. Boating, water sports and hiking in the area are all popular pastimes. Guests of our McHenry MD bed and breakfast have a multitude of ways to enjoy the natural beauty of the area. Lake Pointe Inn is conveniently located on the waters edge, so you’ll never be to far away from Deep Creek Lake. Because the lake is home to large populations of several fish species, Deep Creek Lake fishing is a favorite activity for visitors to partake in. The variety of fish provides great fishing opportunities year round. 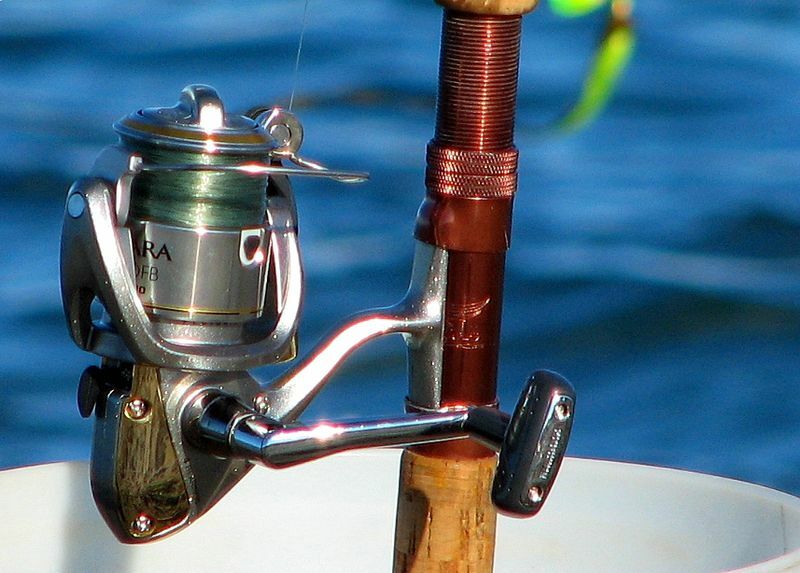 To help you plan a fishing trip, use this blog as your Deep Creek Lake fishing guide. Deep Creek Lake’s ecosystem is home to many species of fish suitable for recreational fishing. Deep Creek Lake fishing is generally good year round with walleye and yellow perch being abundant even in winter when the lake is frozen. Perhaps the most well known Deep Creek Lake fishing is for bass, due to the submerged stumps and floating docks that provide cover for them. Small mouth bass are the most prevalent, but large mouth bass also reside in the lake and make appearances during the many bass fishing competitions. Other species you may find when fishing on Deep Creek Lake include Sunfish, Rainbow Trout, Northern Pike, Pickerel, Carp Bluegill, and Black Crappie. For more Deep Creek Lake fishing reports, access to guide services and webcams for checking conditions, click here. If you’re interested in a Deep Creek Lake fishing trip but want somebody else to take care of the work for you, consider a fishing tour. Bill’s Outdoor Center Family Fishing Tours offer visitors tours lasting four hours. The tours include an experienced fishing guide, a fully outfitted pontoon boat, tackle, equipment and live bait. The only thing required of you is enthusiasm and a fishing license. In fact, anyone over the age of 16 wishing to fish on Deep Creek Lake should have a Maryland freshwater fishing license. Once you’ve spent a day on Deep Creek Lake fishing, Lake Pointe Inn is the perfect place to unwind. Our rooms and suites each have their own private baths and gas fireplaces, providing an inviting and comfortable environment to relax in after a day on Deep Creek Lake. You can also choose to treat yourself to some pampering in our lodge retreat. Treatments include hot stone massage, reflexology, and Swedish massage. Other spa amenities include a steam shower and sauna. And each stay includes a delicious breakfast served each morning in our two dining rooms. Or if you plan to take get some Deep Creek Lake fishing in early, you can take advantage of our continental breakfast option. With the luxurious accommodations and personalized attention of our staff, when you choose to stay at Lake Pointe Inn, your trip to Deep Creek Lake will be truly exceptional. Find your favorite room and begin planning a memorable getaway today.